Blokes on the Balcony Experience! 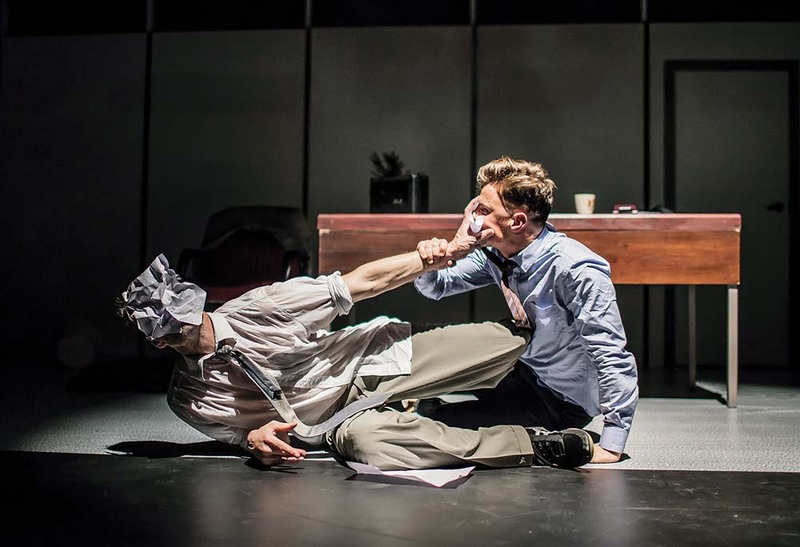 SKILLFULLY depicting a full-throttle mash-up of extreme physical risk-taking, graceful movement and slow-mo fight sequences, Cockfight is a darkly humorous and surprisingly tender piece of dance theatre by newly formed Gold Coast/Berlin company The Farm that sees long-time creative collaborators Joshua Thomson and Gavin Webber reassess who is in charge. Cockfight is on Tuesday 4 September, 8pm and for a limited time only, you can avail the special Blokes on the Balcony offer which includes not only the performance ticket but a beer and a snag on FAC’s Balcony before the show from 6.30pm.